The term “Estate Planning” is simply a short way to describe getting your legal documents done to protect you, your family and your loved ones. If you own real estate or you are purchasing real estate, then you need a comprehensive Estate Plan. We prepare Estate Plans every day for people just like you. You have insurance to protect your assets but do you have a personal Plan in place to protect you and your family to make sure things are handled the way you want? Our website is filled with a lot of useful free information & videos concerning Wills, Trusts, Powers of Attorney and the Probate Process. If you want to know anything about Estate Planning, you can probably find your answer here. After you take a look at this page, please click on the “Estate Planning” tab above to see a menu of the different categories with helpful information and videos. What Do I Need To Do To Take Control Of My Property During My Life? What Is The Best Way To Protect My Real Estate Investments? How Can I leave the most to my children and loved ones without losing control of my property? How Can I Protect My Children and Loved Ones from potentially losing their inheritance? 1. Experience: Over the past 24 years, Mr. Benson has helped over 900 clients with their estate planning needs. Christopher A. Benson is rated as “9.5” by www.avvo.com among all lawyers in the United States. We have worked hard for many years to achieve that level of excellence and we are very proud of our national rating. 2. Convenience: One of the unique services we offer is our Express Estate Planning Package. This service allows you to get all of your estate planning documents prepared with the convenience of never needing to leave your home. 4. The Initial Consultation With Mr. Benson Is FREE! Therefore, it costs you nothing to find out your options. 5. Our clients live all over the State of Arizona. You get access to a highly rated lawyer regardless of where you live. Therefore, you don’t have to live in the Valley of the Sun in order to have our firm represent you. Watch the Short Videos on our website for additional Free Information. It is simple to get started. We are here to accomplish your goals and give you Peace of Mind starting today. 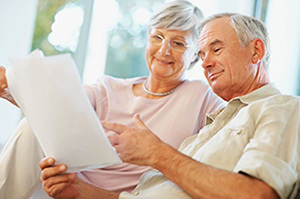 One of the unique services we offer is our Express Estate Planning Package. This service allows you to get all of your estate planning documents prepared with the convenience of never having to leave your home. Let me show you how it works by watching the video. All client conferences with Mr. Benson are done by telephone or video conference by using Skype or Apple FaceTime. It’s Your Choice. We prepare your new Living Trust, your Will, Financial Power of Attorney, Medical Power of Attorney, Directive to Physicians (aka Living Will), HIPAA Health Care Information Releases, Designation of Guardianship, and your real estate transfer documents. If you have minor children, we will prepare the Designation of Guardian for your minor children as well. After we have completed your estate plan, we will express mail the documents to you. If you own real estate or you are purchasing real estate, then you need our Express Estate Planning Package. Proper Estate Planning allows you to control what happens in order to protect you and your family. Estate Planning is about providing you Peace of Mind knowing that you have taken care of the legal documents necessary to control the events that occur in everyone’s lifetime.